As we rush toward Thanksgiving day, I though it would be a good idea to share some of our favorite, and unique, pies that you can make to finish out your dinner. Each of these pies reflects the flavors of the season, but with some unusual ingredients that will have your friends talking about your amazing culinary skills. Here are our picks for unique pies for your holiday table. This pie isn’t light and creamy like a coconut cream pie, but it’s delicous. It reminds me of a pecan pie with added coconut in place of the pecans. None of our taste testers guessed that it contained beans. 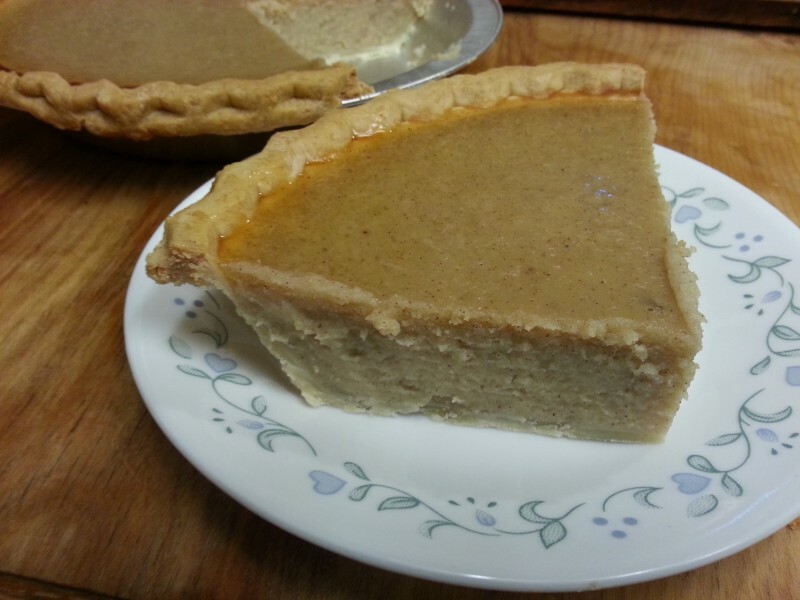 This is the Patty Cake’s Pantry’s version of the bean pie, and is a great substitute for either a sweet potato or pumpkin pie. 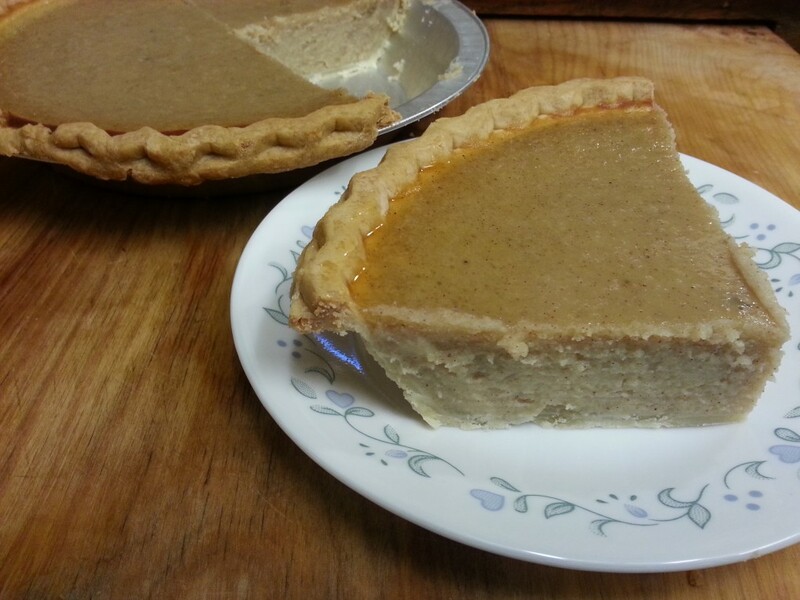 If pumpkin prices are beyond your reach, cook some navy beans and give this delicious pie a try. You’ll be glad you did. This recipe is made from traditional pecan pie ingredients but contains pureed pinto beans in the filling I promise you that no one will notice. The beans add extra fiber and protein without detracting from the taste. This is one of my favorites. Similar to a traditional sweet potato pie, but made with mashed russet potatoes, this is a delicious and easy pie to make for the holidays. Your friends and family will be surprised to learn that you can make such a delicious pie from plain potatoes. That concludes our list of unique pies for your holiday table. Each one of these is certain to impress your holiday dinner guests. In our family, everyone has a different favorite. If you’re looking for something a little more figure friendly, check out our recipes for Easy Apple Crisp and Blueberry Pear Crumble. Do you have any other unique pie recipes that go great with the holidays? Let us know in the comment section. So much to choose from!! I can’t wait for a table full of pie 🙂 Happy Thanksgiving!! We LOVE all of these pie recipes. Baker’s Man’s favorites are the Pinto Bean Pecan Pie and the Coconut Bean pie. Food Critic and Bus Boy prefer the Ice Potato Pie and the Navy Bean Pie. Sue Chef says “We should eat healthy stuff,” but she ate some of all of the pies. That’s exactly what my coworkers are saying. Everyone wants me to make them a pie. oh yummy this Pie looks so delicious… wish I had some right now! Once you try these, you’ll be hooked. Wow, those are really unique pie flavors! I like the idea of adding beans to a pie, it makes it also nutritious for you. My favorite would be the coconut bean pie! The addition of beans may make it more nutritious, but that’s not what anyone is thinking when they bite into that coconut pie. Let’s call it sneaky nutrition. I love these unique spins on traditional holiday pie recipes! I bet the beans give them a really nice texture without adding too much flavor. These look really fun, Patti! Each one of these pies was surprisingly delicious. We love them so much that they are always appearing on our holiday tables. I don’t make as many pies as I should because I have an issue with pie crusts. You’ll notice that I didn’t include a recipe for pie crust, only for the filling. I bought prepared crusts for these recipes. I really need to get over the pie crust anxiety that plagues me. I will gladly pass them to you as long as you bring the whipped cream. Oh my goodness such choices! I am pinning this for our Christmas dinner! You will love them. My favorite for Christmas is the Pinto Bean Pecan Pie. Let me know what your family thinks of them. Having already found what wonderful creamy soup I can get from blended beans, I need to try them as a “custard” filling! How intriguing! I’ve seen things like this in some of my old cookbooks, but never tried them… so I’m curious. I made three of these pies during my 30 days of beans challenge last year Ever since we first tasted them, we’ve been addicted. Have you heard about the marshmallows that are made from bean cooking liquid, or aquafaba? I still haven’t given that one a try. These pies look so interesting! I love the old stand-bys, but it is so fun to try new recipes, too! We love the traditional pies, too. Sue Chef and Bus Boy adore both pumpkin and sweet potato pie. 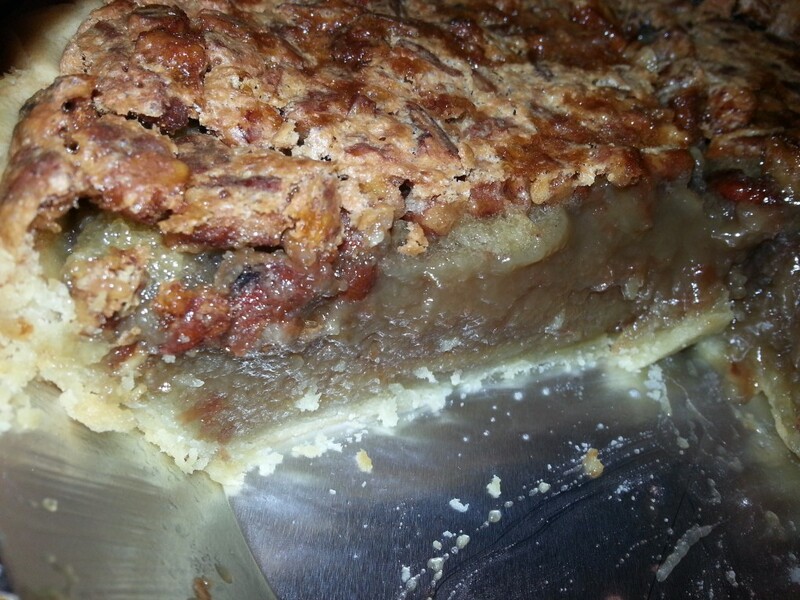 Mmmm….pie! I’m always looking for new dessert recipes this time of year, thanks for sharing these! I’m glad that these are interesting to you. You should really try either the pecan pinto or coconut bean pie. They’re my favorite for Christmas. After making the pinto bean pecan pie and having it turn out to be so good, I just kept experimenting. I think this year, I will try another variation. I just discovered how good sweet potato cake can be so I am seriously intrigued by your ice potato pie! 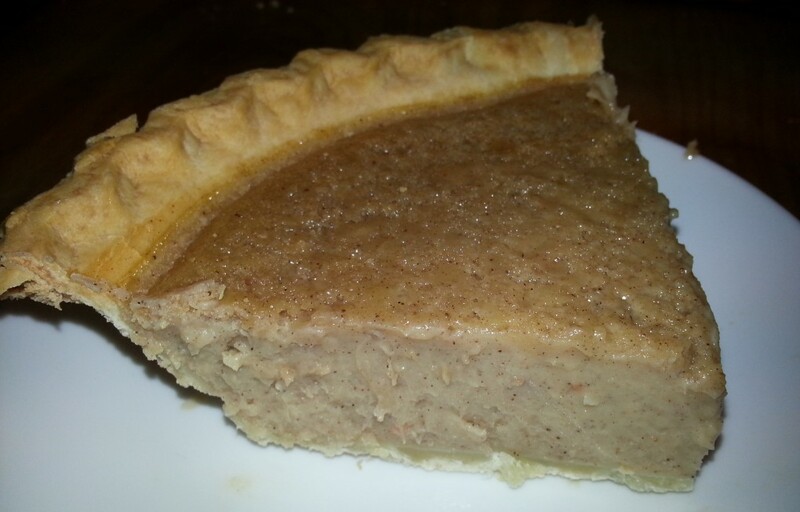 Also coconut on anything is always a win with me, but that bean pie looks so good and moist! Not much of a pecan fan but the addition of pinto nuts does make me curious enough to try it. Thx for posting! I’ve got sweet potato cake on my list of things to try. I love sweet potato pie. 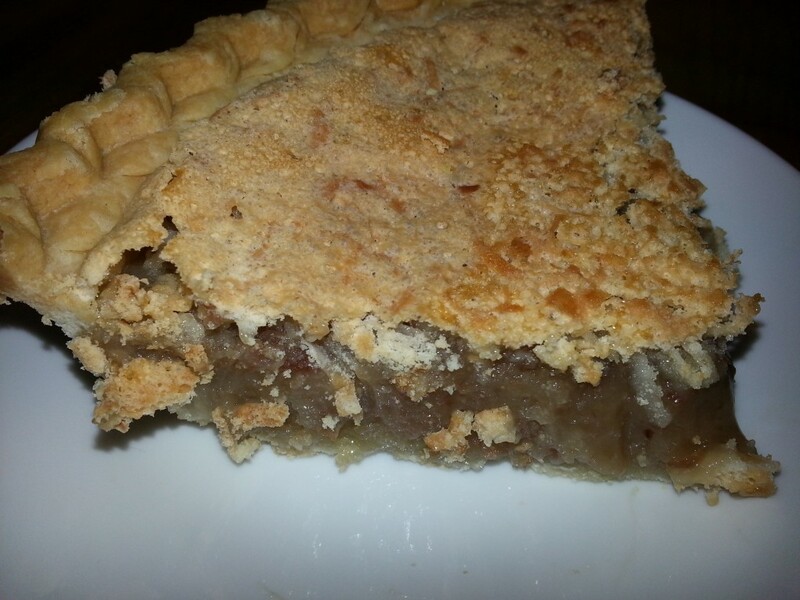 If you try ice potato pie, stop by again and let me know what you think of it. We loved it.